In Episode 101 of the Defining Success Podcast, Daryl Urbanski shares his entrepreneurial journey and discusses the importance of tribal marketing. Tribal marketing is a marketing strategy that attempts to create social communities centered around a product or service. 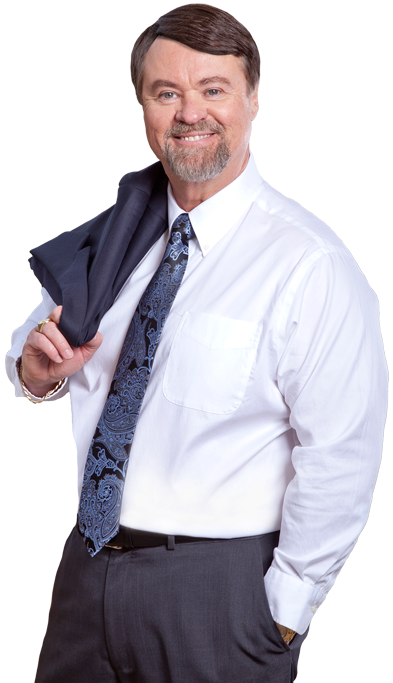 Daryl Urbanski is a #1 Bestselling Business Author, Business Coach, Martial Artist, Tribal/Database Marketer, Entrepreneur, & Student Of Life. 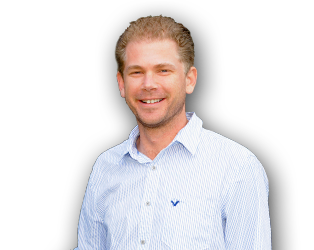 Daryl focuses heavily on direct response campaigns and has experienced a lot of success. His first endeavor was an email marketing campaign designed to get a job in Canada while he was still in High School. He had some early experience with alternative energy, traveled to Japan to teach English, worked as a freelancer and then started experimented with passive income. Tribal marketing focuses on creating small groups of people and creating specific products for them to become more successful. Working constantly to continually create value for people. Daryl also believes in surrounding yourself with wolves instead of gazelles. This entry was posted in Episode 101: Tribal Marketing | Daryl Urbanski and tagged Ancient Secrets of Lead Generation, Bestselling Business Author, Business Coach, Daryl Urbanski, Defining Success Podcast, Entrepreneur, Entrepreneurial Journey, Jim Rohn, Martial Artist, Michael Gerber, Social Communities, Student of Life, Tribal Marketing, Tribal/Database Marketer on September 30, 2014 by Zeb Welborn. Frank Ortiz is a good friend of mine. We’re both involved at the Chino Valley Chamber of Commerce so I see him regularly. One of the themes that came up several times in the interview today is that success is a lifestyle. It’s not something that you can turn on and off. In this episode, pay attention to that theme, and listen to the advice that Frank gives about how success is a lifestyle, it’s something that you need to maintain throughout your life and not something that you can turn on and off as you choose. It’s a great episode and I hope you all enjoy! Frank Ortiz from A Shot of Happiness Events has spoken to thousands of people over his career. 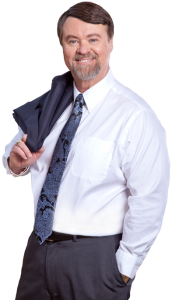 He has been extremely successful at motivating and mentoring Sales Force Teams in the Automotive Industry as well as women in the Beauty Industry for the last thirty years. It was really good talking with Frank. YHim and I see each other all the time, but we don’t usually get to talk that much. I sat down with him yesterday for really the first time we had a nice talk, really got to know each other. I invited him to be on the show today. But, I’ve always known that he’s a smart guy, knows a lot about motivation, knows how to get people motivated. One of the things he brought up consistently throughout this episode was that success is a lifestyle. He brought up the story about Tiger Woods and how when everything went south with his wife and it came out that he was cheating on his wife with these other people and how his performance suffered as a result. If you look at successful people, successful people live a well-balanced life because success is a lifestyle. They do everything the way they should. They are good people, for the most part. If you live your life that way, that’s really the way that leads to happiness, that leads to fulfillment, those are two things that I think make people successful as well. Not just that they are making a lot of money, not just that they are doing good at their job, but that they are good genuine people. When you have that mindset and success is your lifestyle; when you are doing everything towards your goal, towards your mission, towards your purpose and everything that you do is facilitated toward the purpose then you are going to be much more successful as a result. For those of you out there if you are trying to find success, trying to be someone of influence, someone who makes a difference in the world, you have to live that lifestyle. You can’t just turn it on when you come into work and turn it off when you leave. It’s got to be something that you live with day in and day out. Success is a lifestyle. Thank you for listening to the Defining Success Podcast. We have had a lot of recent signups to our newsletter lately and I’d love for you all to join. I have some cool things coming up in the future that I want to be able to share with all of you. We’re starting a Facebook course. 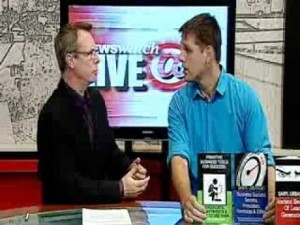 An online Facebook for Business course, based on the work I do for other businesses. So you actually get a chance to see someone who posts on Facebook for a living how they do it and how you can apply it to your business. Please sign up for our newsletter (enter your email on our Contact Page), so you can hear all about that. This entry was posted in Episode 100: Success is a Lifestyle | Frank Ortiz from A Shot at Happiness on September 25, 2014 by Admin. In the interview today Jake and I talk about going after your goals. Jake Bramante lives very close to Glacier National Park. Glacier National Park has 734 miles of hiking trails, and Jake traveled all of those in one year, 2011. He’s the only person to have done that. 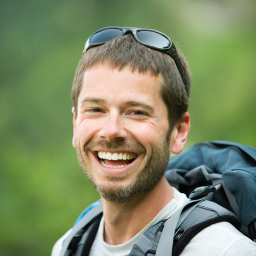 He shared the experience of going after his goals on his blog Hike734. What I’d like to elaborate on at the end of the interview is what it means when you cross the finish line; when you set out on a goal and you do something and what that means for you as an individual and a person and what happens when you don’t. Glacier National Park, located in northwestern Montana, has 734 miles of hiking trail in it. Jake Bramante lives in Kalispell, MT which is located a few miles from the Park’s west entrance. In 2011, he hiked every trail taking 3 pairs of shoes, 5 months and 1,200 miles to accomplish this goal. He is now busy blogging about Glacier National Park, helping others have amazing trips and heading out on speaking engagements. That was a fantastic interview with Jake. Definitely different from the past interviews we’ve had on the show. I think it was one of the coolest things to set out on something like that, going after your goals. Really, when I think of these projects that people get themselves into I think — why? Why would someone do something like that? To hike all 734 miles of Glacier National Park, it’s not like someone paid him along the way to do it. He just decided I’m going to go and do this. and I’m going to set this goal and I’m going to make it happen and figure it out from there. He and I chatted after the interview and he brought up some interesting points that I’d like to bring up as well. In the interview he said he set this goal and set out to do it and sure enough he did. He finished it. But in life there are some times where, all of us like to think that we stick to our word and we’re going after our goals and doing things and finishing those things, and sometimes we do and sometimes we don’t. I shared my experience with Running Brothers. Several years ago my brother and I started a running program. We were going after our goals, He was going to become marathoner and I was going to do the Iron Man. It was a huge lofty goal and I trained really hard for it. I did it for about three months. I started to realize that I didn’t like biking, I didn’t like swimming, and I didn’t like running very much. That was a big deterrent, but I didn’t know that when I started. When I started I had never really biked before or swam before. So getting a chance to experience that, and experience it extensively. Then I knew that it was something that wasn’t for me. After the interview Jake and I chatted. He brought up the story of him trying out for his basketball team when he was in high school. He tried out for the JV team. While he was out there the coach said, “We’ve got a lot of kids trying out this year, if you don’t think you’re good enough to make the team, it’s okay, now’s the time to leave.” Jake had practiced all summer trying to get better for this team, but while he was in tryouts he realized that he wasn’t good enough so he dropped out. That’s the case sometimes. Sometimes you have to know when there is something that other people are doing better than you and you’re not going to be able to get to that level and it’s time to drop out. When it comes to this hiking adventure Jake went on. He did the research and no one had ever done it before. He is the only person to do that. That was something where he could identify himself above and beyond what others have done and he’s been able to leverage that to do other cool things. I know he’s been giving speaking engagements as a result because that is how Adam came to know him and that is why he introduced me to Jake for the podcast. There’s a lot of different things he’s been able to do since then. When you look back on your life what are the things you want to look back on? You want to look back on those cool things you did. “When I was young and crazy I hiked 734 miles one summer just for the heck of it. Why not? Then afterwards as a result I was able to make a living out of that whole experience. Because I was the only person to do it.” I think that is a cool story, very compelling. I admire him greatly for doing that. In this business what I really like doing, is — I don’t like doing the same things all the time. I don’t like repetitiveness, I don’t like monotony. I like doing different things and experiencing different things. The podcast is awesome. I like the chance to interview different people, but this is a project it’s not something that it going to go on forever. My other business Welborn Media is something that I like doing. As the business has grown I start to see different patterns. Originally my sister Lacey was doing website design, she realized it wasn’t for her so now we have someone else to do websites. We’re not focused on marketing and selling website design as much any more. We found a niche in the golf industry, I wrote that book, The Social Golf Course. Now we’re selling social media to golf courses. Eventually, as technology changes it might not look the same way, that could shift down the road too. In our current economy all of these things that we do, if you have these projects in line, then each project kind of builds upon another project. We’ve seen that time and time again with all these different entrepreneurs, business owners and successful people that have been on our show. Mark Sieverkropp even wrote a book about it called Project: Success. Every project you do, build some notoriety, get some attention and then shift your focus to the next thing. I think that’s the way we’ve got to look at this current economy and how we look at going after your goals. That’s another thing successful people tend to do. I’m going to do this project for a certain amount of time. That will open up doors for other things that I want to do, I don’t know what I want to do, but that will open up doors for what I want to do two years from now. I thought it was a great interview. We had a lot in common, we’ll stay in touch after this. I also want to ask all of you out there to check us out on Facebook, like our page and comment on our episodes and posts. Visit Hike734.com. From there you can get to all of Jake’s other channels. He had money saved up, sold his house, quit his job and started to work on a video production company that he had been playing around with. He knew he could make some money from it, but he wasn’t sure he could make a living. He gave himself two years where the first year he would work on trying to find out what he wanted to do, the second year he would just go for it and kill it. See if it worked out. 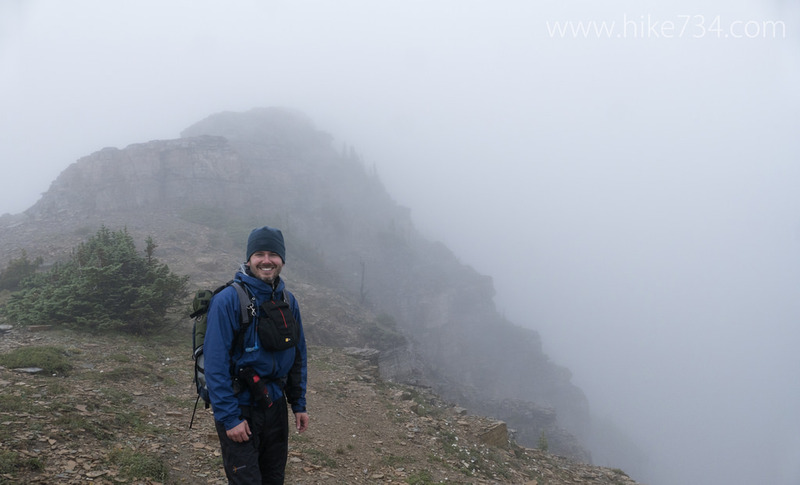 During that first year he discovered that no one had hiked all the trails in one summer and I figured that would be a really great project and I could video blog on it. I thought by the end of it I would have assets like potentially a platform and a drive. I knew that I would have a lot of knowledge about the park and a cool story. When coming up with the idea it was pretty organic. He says, as I was going through this process my friends and I had talked about creating tourism DVDs, I thought that sounded really cool. As I thought about being in the park and how great it would be I started to wonder how many hikes there were. When he researched it he came up with his goal. Jake was trying to figure how he was going to make a living. He also knew he had the entrepreneur bug. I knew I wanted to do something where I could use my skills to create this website and talk into a camera and put the stuff together. To monetize his project he payed attention to the questions people were asking him about Glacier National Park. His first project that he came out with was a guide for driving up Going-to-the-sun Road, the main road that goes through the heart of Glacier National Park. His next project was a day hiking guide, an aggregate of a bunch of guides and maps and all kinds of things. He learned GIS software and learned about cartography. That is selling well. A great example of going after your goals. When going after your goals there can be a lot of set backs. One of the problems Jake had was was record snowfall. He hadn’t planned for it, but often he just had to wait for snow to melt so that he could go on many of the hikes. He says that wasn’t the biggest obstacle of this project the mental aspect was. Many of the hikes weren’t as nice and manicured as he thought they would be. He told a lot of people he was going to do it, and that gave him added motivation. There were points when he was totally okay if something happened that allowed me to not have to do it, but he didn’t give up. One of his big takeaways from going after your goals was each and every day working towards that goal. Breaking it down, he can’t hike the entire project in one day, but he can get to this lookout or that lake. As long as he focused on those tiny intermediate goals then it starts to snowball. Jake says, when you get towards the end of it and you just really don’t want anything bad to happen. You realize this whole project is really fragile if you’re not careful. There was a lot of days he wanted to quit. His friend would invite him places and he couldn’t go. He met a girl he really liked, he couldn’t hang out with her as much as he wanted, she was really supportive. Now she’s his wife. He also got to see some amazing things. Things that made him set about going after your goals in the first place. He got to see see a sunset, golden hour, a sow and two cub grizzlies digging up roots in a huge meadow. At Grenau Glacier seeing bull moose fighting. So many great cool things that he got to see and experience with other people that made the experience absolutely worth it. His coolest sight was seeing three black wolves. It was a cool experience, at first he could just hear some noises and he looked and saw a couple flashes of black in the trees. Then they walked out onto the trail and looked at him for a few seconds and disappeared, but they came back. Usually animals ignore you or run away, but these guys were sticking around to check him out. One of them broke away from the bunch walked towards him. Then the wolves ran off and he could hear them howling. He says that was so cool because of the interaction with the animals. Another cool moment was when he was with his girlfriend, she had never seen a moose, but always wanted to. When it finally happened they didn’t just see one moose, there were 5 and two of them were fighting. Obviously very cool to see. A special moment. 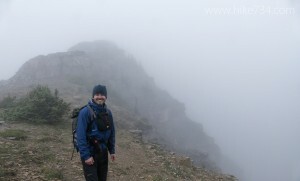 After finishing his goals and documenting on Hike734 he came home, went back and edited all his previous blog posts. He was asked to help non-profit partners of the park with their marketing and branding. After that he came out with his driving guide, worked on this marketing and distribution for that. This year he came out with his day hiking guide. Now he’s looking to see how he can duplicate some of this stuff at other national parks. He wants to hike Zion this fall. It’s been a process of learning and trying to figure out how to leverage that project and build from it. To take a project and see it from inception to completion, and a project of this scale. Seeing what it’s like going after your goals: to plan it, start it, get through the muddy middle, and then come out on the other side and say I made this, or I’m doing this. Then you just take what you’ve done and what you’ve learned. If you want to do something that seems a little out there Jake suggests figure out more or less the why. If you want to make it an entrepreneurial endeavor the big questions is, is there a market that needs to be served, as opposed to I have this product and I’m looking for a market. 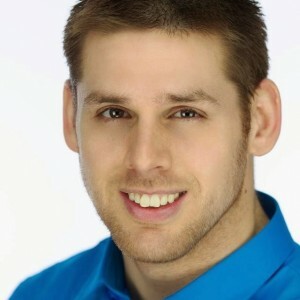 This entry was posted in Episode 099: Going After Your Goals | Jake Bramante Founder of Hike734.com and National Park Guide Creator on September 19, 2014 by Admin. David Horne has his own marketing firm and he’s working on a new startup project called Fan Pack. They’re getting celebrities or people with a large internet following to join up with them and create packs of goods that are sent out to their fans. It sounds like a really cool product and service. He’s also going to talk about marketing in the interview. And the thing that we talk about that I want to focus on is don’t be afraid to try new things. Those who do experience success they try new things all the time they figure out what works and what doesn’t. Through that process they always learn things along the way. 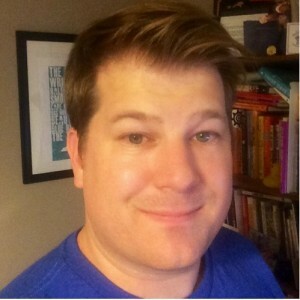 David Horne is an entrepreneur, marketer and writer, living in NC. Most of his work over the last decade has been helping companies rethink and rework their marketing. I’ve been fortunate to learn from and work with a bunch of amazing and brilliant people. Currently, he’s running a modern marketing firm and recently launched a startup. My friend Herby Fabius put David and me in touch because he knew we both like golf. David a professional golfer, and me who has always enjoyed the game and now I help market golf courses and I put together the book The Social Golf Course to try and help to promote the game of golf. I brought David on the show today so that he can share his marketing advice and also to talk about what it’s like to work on a startup and get that going. Especially with what he is doing now in Fan Pack. During the interview he mentioned that he has began multiple startups and one of the things he still says is not being afraid to try new things because through that experience he learned so much. For example, one of the things he did was they created that golf teaching card. What he figured out through that process was, he didn’t take into consideration the current customers. They had people that were paying for this product and service, but they spread themselves too thin trying to go after people who weren’t necessarily in that target market. That was the downfall of that startup of his. They started this other one called Online Brand Camp. The big problem there was that they were treating it like a side project and it was something that needed to be the center of their business. He said they were treating it like a hobby and that’s the kind of results they got. They got hobby-like results. That’s another thing that he learned from that venture. Now he’s working on this Fan Pack, I’m sure he’s learned a bunch and that he’s going to continue to learn. One of the things that successful people share all the time and that they talk about, many on this podcast is that they’ve experienced failures, but they don’t see them as failures. They see them as learning tools, or learning experiences. Where it didn’t work out and so now they are moving on to something else. David alluded to that in the interview: that he doesn’t look at these as failures, he learned a bunch from the process and it‘s only made him a better person. Smarter about business. Smarter about what he’s doing moving forward. I think that is the attitude you need to have if you are going to be successful down the road and obviously David has it and I think he gave some great insight today during the interview. For those of you following us, sign up for the Defining Success Podcast Newsletter. We recently got a lot of people signing up, I’m excited about that. Thank you all for signing up. I want to thank Herby Fabius for introducing me to David. Herby is a great guy and a good friend. And thank you all for listening. I want to encourage you all to go out there and find your success! Visit DavidHorne.me. It’s the best place to find out anything David has going on. David played golf in college and was able to turn pro afterward. He played on the mini tours for a while until he ran out of talent and sponsors. That’s when he got back into the marketing world. He was introduced to the marketing world early by his Uncle. He had been interested in marketing for a long time. He started helping brands with marketing. He landed at a software technology firm which got him into the digital marketing world. It was the earlier days email marketing and the beginning of SEO marketing, now content marketing. In 2008 he went out on his own either freelancing or with his consulting copy writing shop, that matured into the agency that he is a partner in today. He’s always had side projects, try new things, things he’s been working on. This year he got serious about one of them which is called Fan Pack, which is a subscription site which connects fans with their favorite icons while supporting charities. He says his marketing firm focuses on strategy and specifically how digital marketing fits into that. They do anything that falls into the web category from design to front end development, content creation, paid and organic search marketing, and social marketing. He says, today, there’s so much transparency and information to learn what it is your customers want and then you build stuff for them. That kind of has the marketing built in. Fan Pack is a way for fans to connect with their favorite artists, athletes, entertainers, thought-leaders, ect. while supporting charities. His business partner was his best friend from college. When they did get together they would always discuss the different things they were fans of and how they were introduced to them by people who influenced them. They thought, what if we can create a premium experience where fans, because everyone is a fan of something, whether that’s a product, company or sports team, musician. I just wanted to create a platform to be able to do that so fans can have that experience with people they like. He’s learning how to run a product business, in the past all his companies have been services that supported product businesses. With Fan Pack he says they’re learning. There’s a lot of improvements and we’re working on version 2 right now that will go live in the fall. David is excited about it because it will have more flexibility and the potential for anyone that wants to be a contributor to be a contributor. Anyone that wants to have a subscription service to offer their fans will be able to do that. Fan Pack is not David’s first startup venture. His previous three all failed. He says he learned a lot through out those experiences. With the golf card, David says they didn’t focus enough on their core customer. They didn’t do a good job of honing in on the value they provided them and then finding the customers that wanted that. Instead they tried to reach all golfers everywhere. David says, success is about continually getting better at bringing value to the community that you serve without sacrificing family or self. Spiritually, emotionally financially, those three things staying in progress as well as continually getting better at serving and bringing value to your community. Success is being valuable to your family, your community, and anyone you interact with. He says success is a moving target. It’s not something that just happens once. It’s a moving thing that you try to be in step with. This entry was posted in Episode 098: Try New Things | David Horne Entrepreneur Marketer and Writer on September 11, 2014 by Admin. 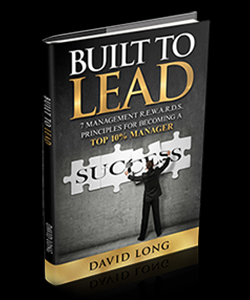 David Long is the author of Built to Lead – 7 Management R.E.W.A.R.D.S. Principles for Becoming a Top 10% Manager. During this interview he talks about his R.E.W.A.R.D.S, an acronym, and how you can apply that to make your employees much more effective. The thing I want to point out in this interview is David’s idea about giving recognition to people you work with or who you work for and the advantages of doing so. David has a lot to say, he’s a really interesting guy and I think you’re going to enjoy the episode. David Long is the author of Built to Lead – 7 Management R.E.W.A.R.D.S. Principles for Becoming a Top 10% Manager. In the book, he talks about what it takes to become a Top 10% manager in your company, and show YOU exactly what he did to accomplish that impressive feat in THREE DIFFERENT INDUSTRIES! The “​​7 Management R.E.W.A.R.D.S. Principles” in Built to Lead are “get-in-the-trenches, no-holds-barred” ​lessons of how, ​specifically, to truly become an amazing manager. David tackles, head-on, the lies you’ve been told about how to reach the top in your career, and shows you what REALLY WORKS​!​ ​These are ​concrete​,​ ​foundational principles that will ​change your life, not only ​in your business career​…​ but ​in your ​personal life​ as well! It was a blast chatting with David today. He has so much information to give. You can tell that he’s lived an interesting and fulfilling life by helping his employees and really building them. Taking them through his process, how he cultivates, gets people excited about the work that they do. He said he has a treasure chest full of little goodies and things people have given him over the years that say what an impact he’s had on their lives. That has to be very rewarding. One of the things that he brought up that I thought was extremely interesting was the idea of giving recognition, and recognizing people in a scenario. That’s one of the things I’ve found predominantly why people decide to get involved in particular organizations or groups that are doing things. It’s because of the recognition you give. As leaders and managers, giving recognition for a job well done is extremely important and critical for the success of a business, especially if your business relies on getting others involved. From my experience, I have a small business I don’t have any employees per say, I have hired people from time to time, but from my experience from being a leader in my local chamber of commerce, I’m the head of the membership committee. Trying to get people to do things is not the easiest thing to do, especially when people are volunteering their time. What I’ve noticed, this is a recent revelation for me, is the more recognition I give to people the more likely they are to do things when I ask for things to be done. I think they genuinely want to do the things that I’m asking during the meetings, but I think when I give recognition for the stuff that they have been doing I get much more buy in to the work that I’m doing. It can be verbal, in my case it is. What David has created is a way to not just give verbal recognition but also to give monetary recognition, or in the form of plaques, or in the form of taking people out to lunch. When you are trying to organize people, or trying to get people excited or involved in something whenever people do something above and beyond, or even sometimes within their work capacity, but they do a good job at it, is recognizing that is going to help you build your brand, build your business, build everything that you are trying to accomplish and you are going to have more people willing and eager to help you with that process. If you do find yourself in that managerial role or that leadership position I think you’ll be able to take a lot away from this interview with David. Reach out to me, send an email to Zeb@WelbornMedia.com. Ask me questions, let me know if there is anything I can help you out with, shoot me an email and I will be happy to answer them for you. Lastly, go out there and find your success! Find his book ‘Built to Lead’ on Amazon. You can download chapter 4 on education of his book, visit the website Top10Manager.com. 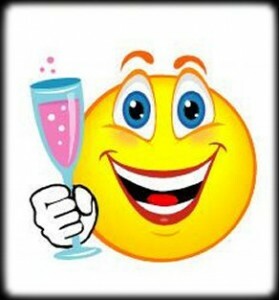 Go to MyEmployees.com for his employee recognition programs. Reach David at DavidLong@Top10Manager.com. David lost a job he had in retail over a disagreement with management. That’s when his life went into a tailspin. He was successful at that job. He assumed he would be able to get another job making just as much money. He went through 7 jobs in 3 years. It was a dark time in his life and he’s grateful for having his wife and 3 kids to help him through. They had just sold their house, that they almost lost to foreclosure. They weren’t going to be able to pay rent the next month so they took his dad’s offer and moved in with the folks. His best friend’s mother remembered that David had engraved jewelry while he was in college she wanted to help him out and gave him an opportunity. There was a jewelry store closing nearby, she told him to check it out to see if they had any equipment, and if he thought it was worthwhile, she would buy the equipment, they would go into business and split profits 50/50. He thought that was a good idea and went for it. At first it didn’t really pan out. He was also working at Circuit City. He noticed the plaques they had on the wall, and asked his manager how much they cost and was surprised by the price. He asked if he could create some samples to replace the ones they were selling. The manager was impressed with them. David sold them to him and a to a few other Circuit City stores. He was still interviewing for other jobs. A potential job fell through. He remembers being in his car on the way home. He had those sample plaques that he made in the trunk of his car. He saw a real estate company on the side of the road and he just pulled in. David was allowed to see the person in charge of employee recognition. He made a deal with the guy and got a check right there. He went to another real estate office and made another sale, got another check and he never looked back. He was in business. 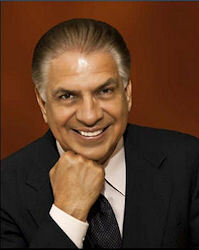 His company is My Employees is in the top 1% of employee recognition and engagement companies in the US and Canada. He says, they’ve grown by an average of 20% every year for the past decade. He has 45 employees now, and they are hiring a few more. They work with Walmart, Target and many more. David uses the acronym R.E.W.A.R.D.S. in his book. For recognition at his own company David gives out awards every month to top performers in every department. He takes them out to lunch. They do activities together, see movies, race go carts, while on the company clock. He will take them out to a nice brazilian steakhouse for dinner. Once a year he takes a select few on an all expenses paid Champions trip, sometimes they go on cruises, we go out west to the Grand Canyon & Zion, the Dominican Republic. In addition to that, they also do recognition on a daily basis to motivate their employees. When they hit a certain number they get a reward from the cookie jar. He says all managers can give employees recognition. It doesn’t have to take a lot of money. You can go to their office and tell them they did a phenomenal job getting that report done early. That right there is more that most managers do. David also says it’s important to be specific. He warns, “Don’t insult someone’s intelligence either.” Put in some effort. David shares about one of his other passions. Him and his wife funded a documentary called Still in the Fight. It profiles 3 wounded warriors, one of which just received the congressional medal of honor. It can be bought on Amazon. All of the money (besides expenses) goes directly to 4 military charities. David also plans to contribute some of the sales of his book to go to charity as well. This entry was posted in Episode 097: Giving Recognition | David Long founder of My Employees and Author of Built to Lead on September 4, 2014 by Admin.